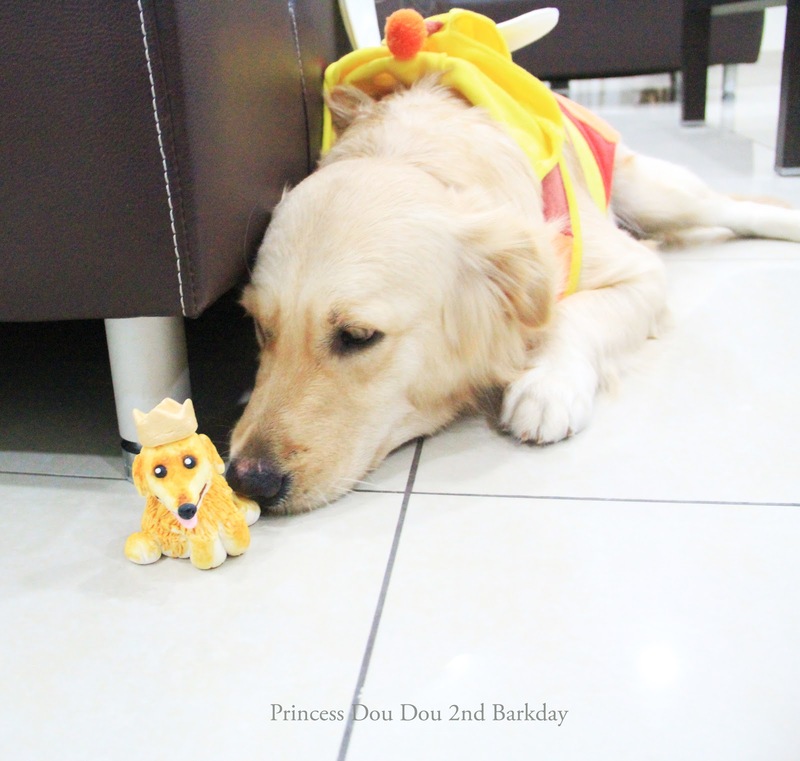 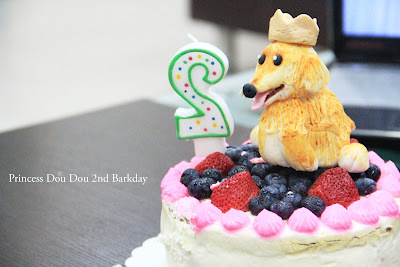 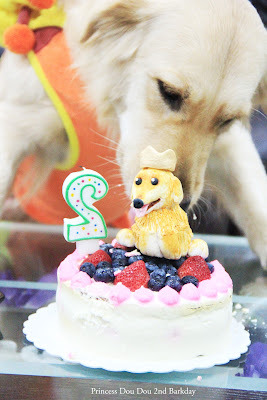 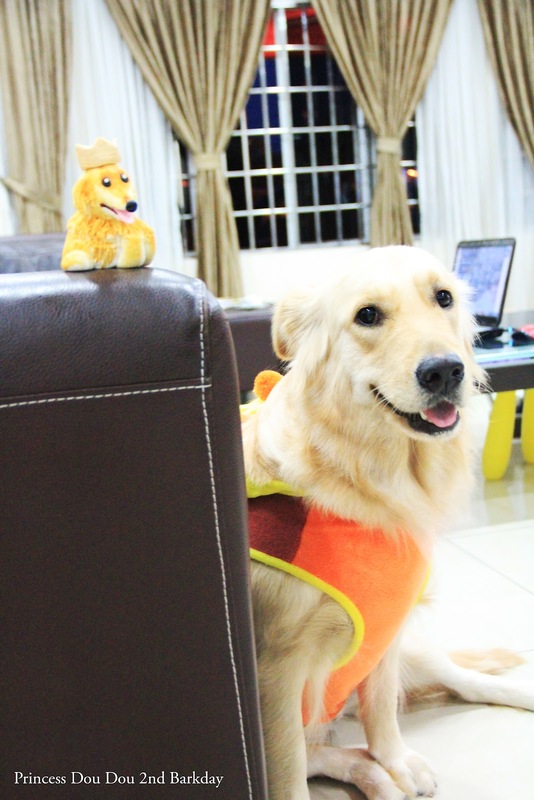 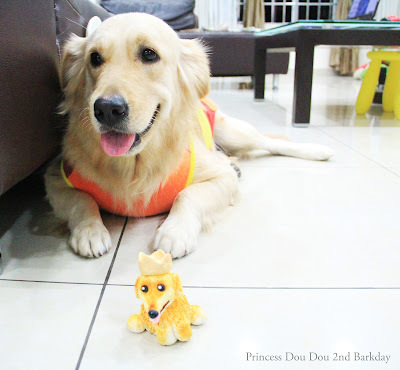 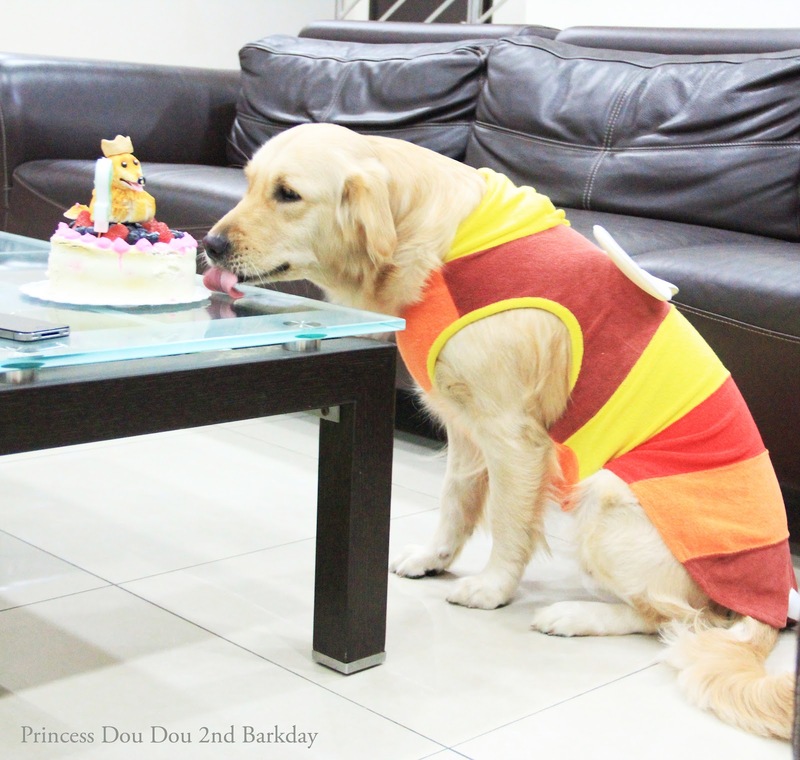 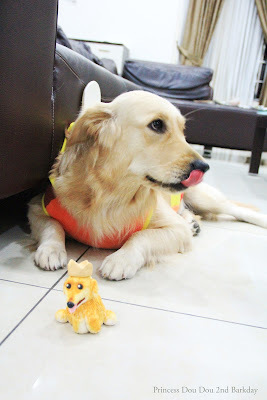 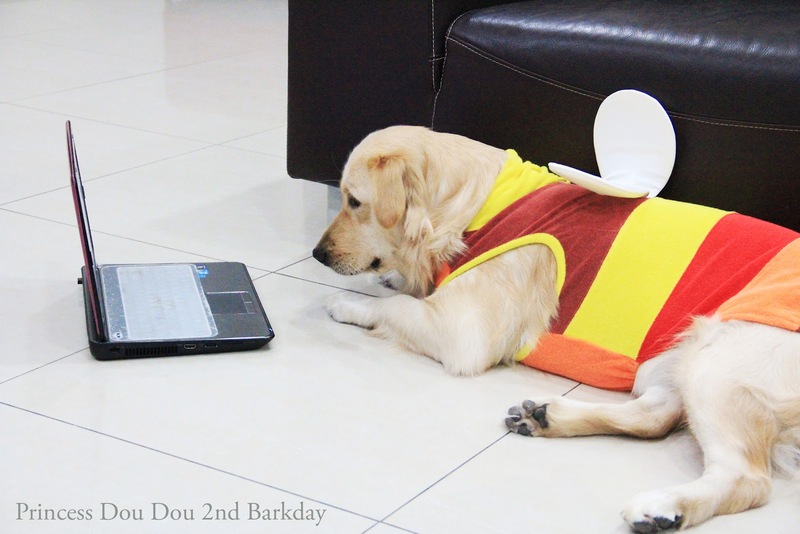 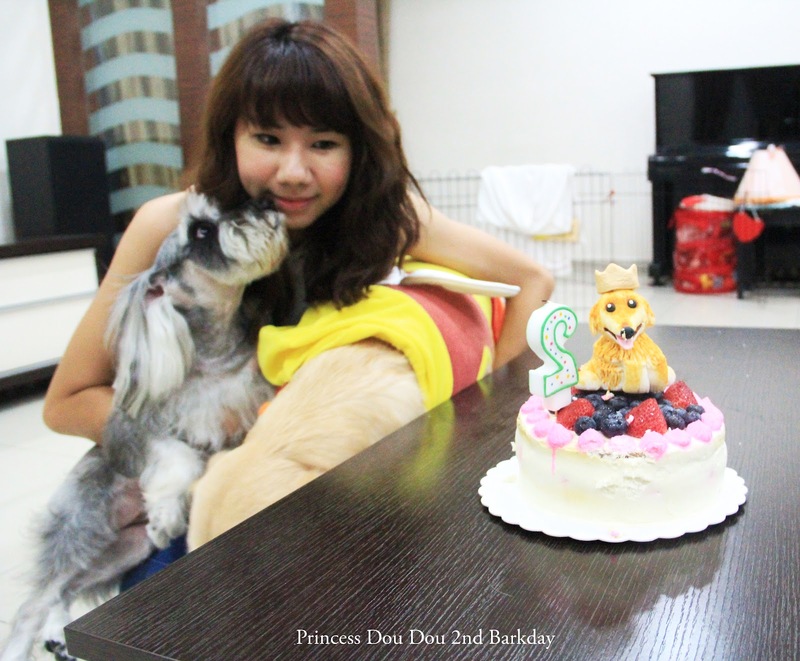 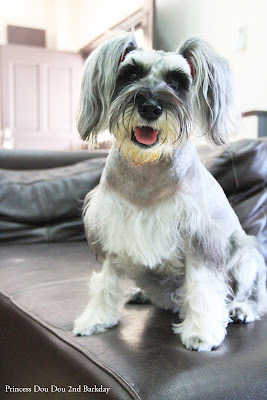 We were celebrating Miss Dou DOu's barkday at home after the swimming session. 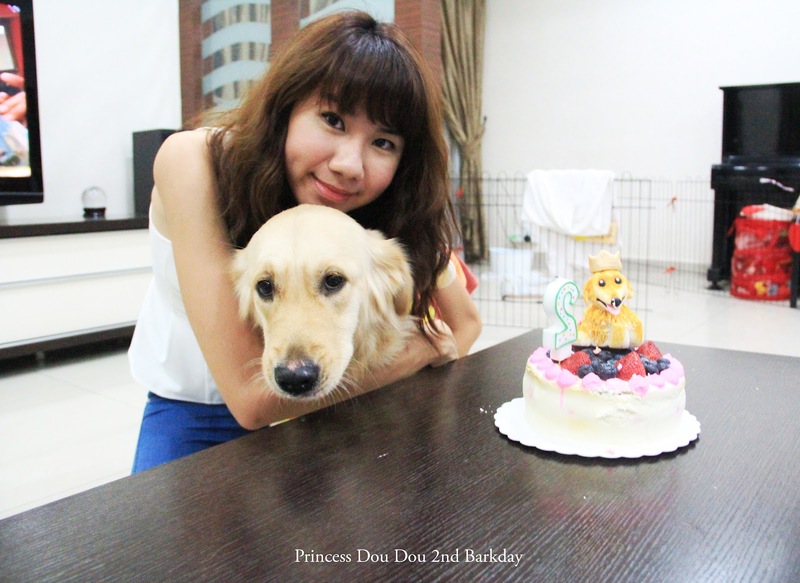 Me, as her mummy and dog cake baker, of course is a must to bake a cake for her,the most important is i know what's cake she prefer to eat. 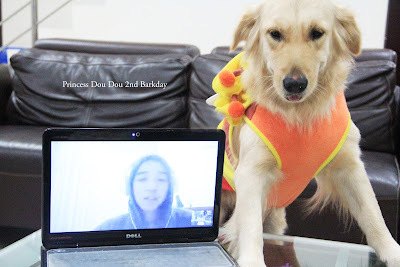 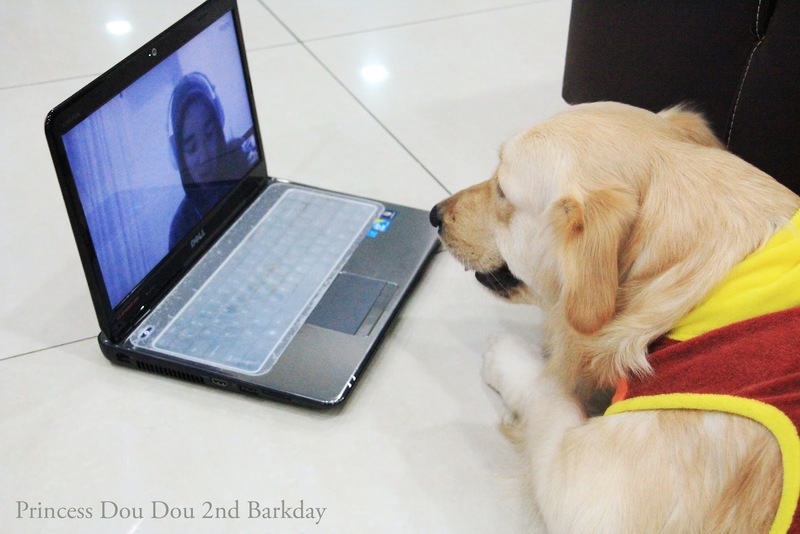 My brother was on Skype with her,look at Dou DOu,she looks so serious.haha! 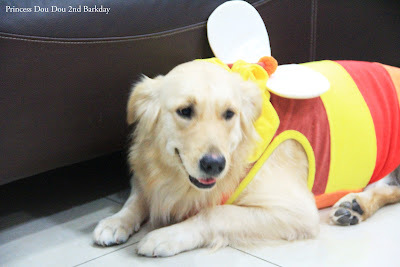 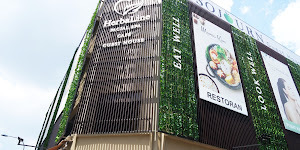 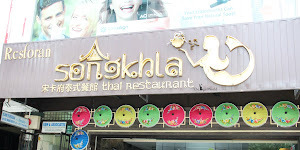 Took a picture before start to sing a birthday song. Yes, Miss Dou DOu is officially turn to 2 now! 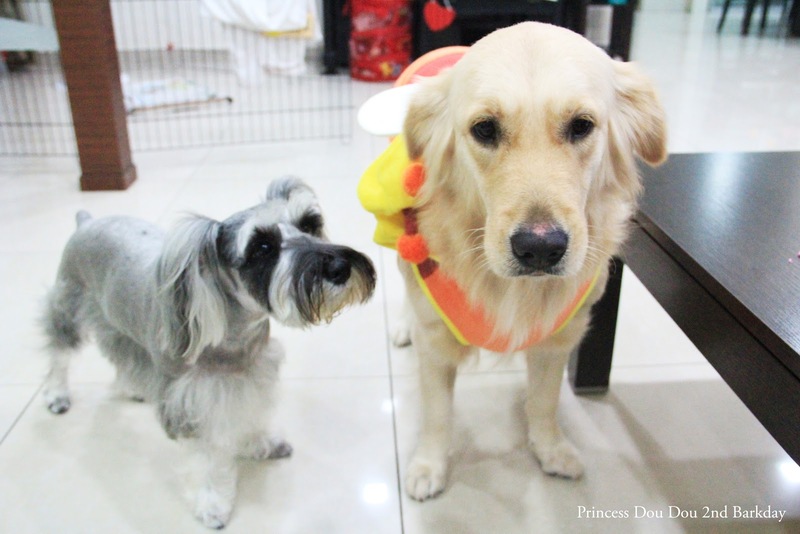 Took a picture with my brother. Little Dou Dou and DOu DOu??? 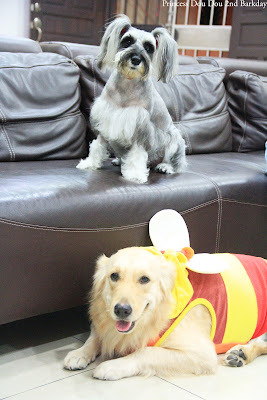 ViVi was in good mood too! 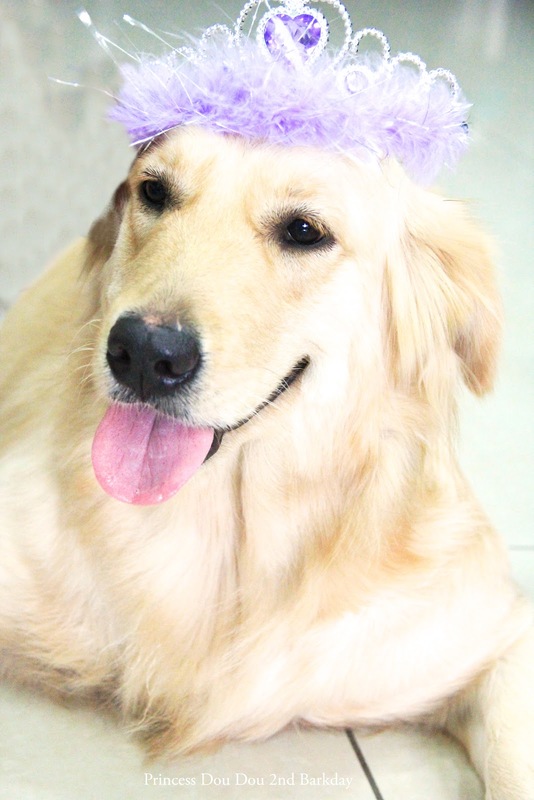 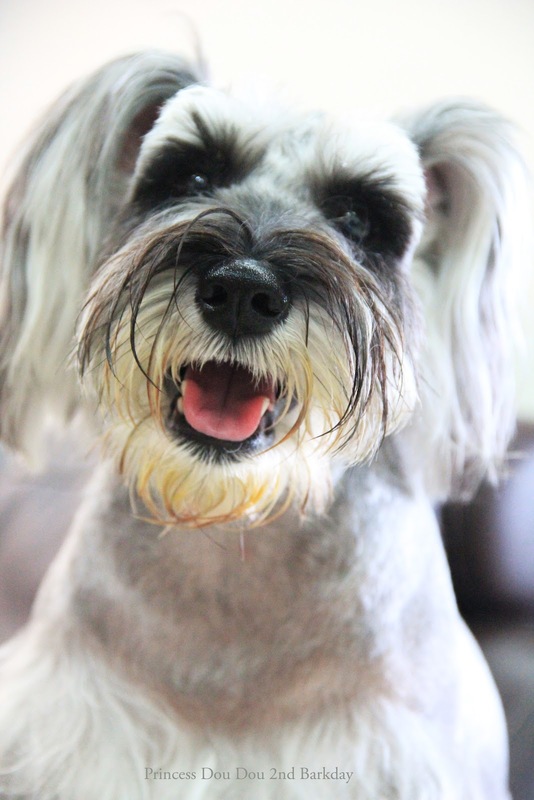 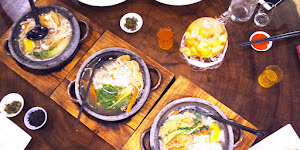 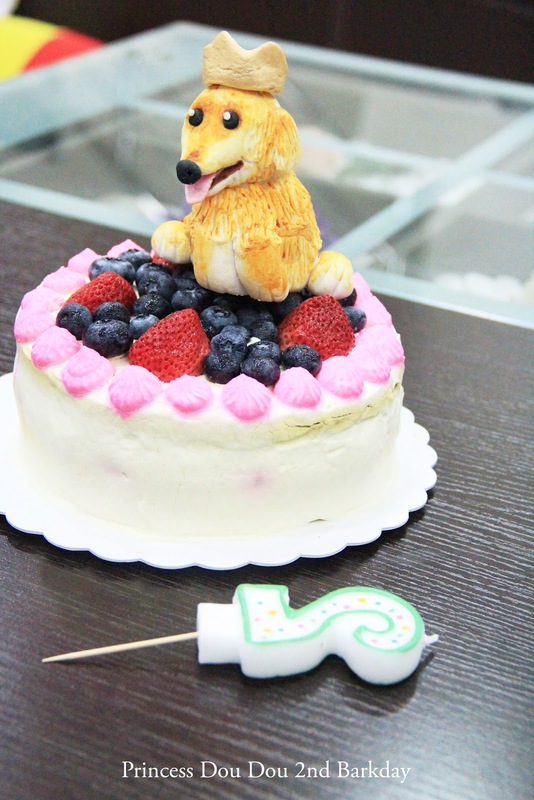 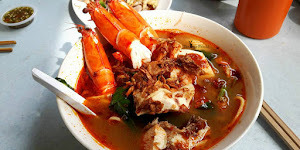 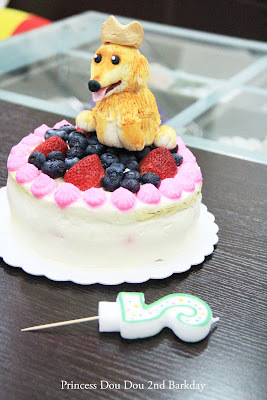 At last, mummy wish you healthy and happy all the time in your life, wish we can celebrate birthday with each other for so so many years in the future,i love you,my lovely daughter and Happy Barkday! Muacks and love from mummy and ViVi. 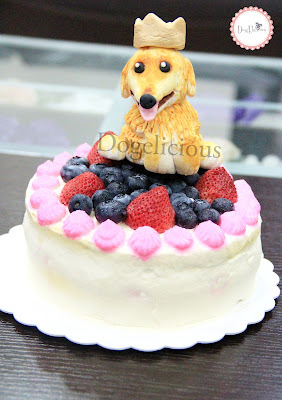 This is the cake i bake for her, cream cake with fresh strawberry and blueberry as toppings and strawberry as filling.